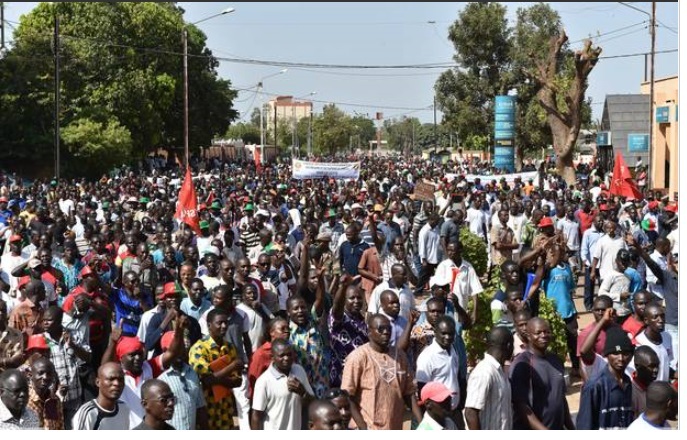 Upper Volta, called Burkina Faso, is experiencing a revolutionary situation which led to a popular insurrection on Thursday, October 30, and ousted the autocrat Blaise Compaoré on Friday, October 31, 2014, despite his sordid maneuvers to maintain himself at the head of the neocolonial State at all costs. Our people in their various constituencies and the popular youth have won an important victory with a spirit of determination and political maturity in thwarting the various conspiracies and in facing with heroic courage the barbaric repression that led to dozens of dead and wounded. This historic popular movement, which quickly spread like wildfire across the country in the wake of recent major demonstrations organized by the reactionary bourgeois opposition as well as by the Coalition Against the High Cost of Living on Tuesday, October 28 and Wednesday, October 29, fully confirms that when the people rise up neither repression nor terror can prevent them from winning. This popular insurrection is taking place in the context of the continuation of the eruption onto the political scene of the popular strata with their pressing demands, who in the past allowed themselves to be oppressed and exploited without protest. They have learned to take charge of their own destiny through powerful struggles to get out of their misery and the deep distress that has struck them for decades, particularly under the government of the Fourth Republic of Blaise Compaoré due to neocolonial exploitation. Indeed, since the hunger riots of 2008, not a day has gone by in which the poor peasants, workers and salaried employees, the poorest strata in the towns consisting of workers, apprentices, small traders, artisans, and especially the youth thrown into the informal sector, have not revolted and sometimes carried out insurrections for the right to a decent life, justice and freedom and a real change in favor of the people. * a clear revival of the vitality of the social front and an increasingly marked determination of the masses to fight for bread and freedom, as shown by the multiple actions and struggles organized and led by the party. 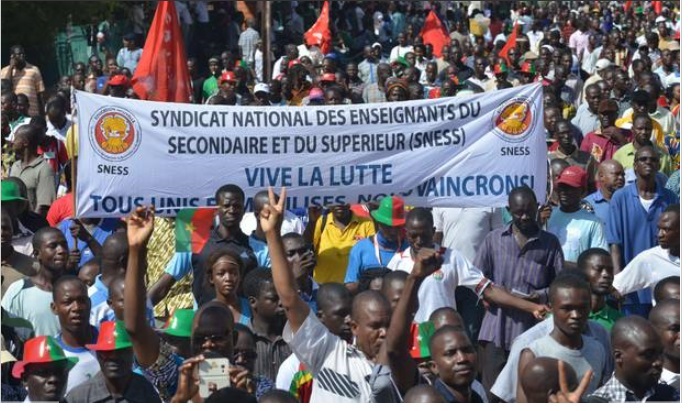 The popular insurrection of October 30 is fully justified in view of the overall maturation of the revolutionary crisis in Burkina Faso. But very quickly the working class and the people are realizing that their hard-won achievements are being threatened and reversed by the putchist clans of the neocolonial army, which have carried out a reactionary military coup d'état. Their ultimate goal is to stifle the revolutionary process taking place and to save the bankrupt neocolonial system. The reactionary bourgeois opposition, while advocating change, is carrying on negotiations with the military high command for a "transitional government" that would allow them to maintain their opportunity of obtaining neocolonial power. 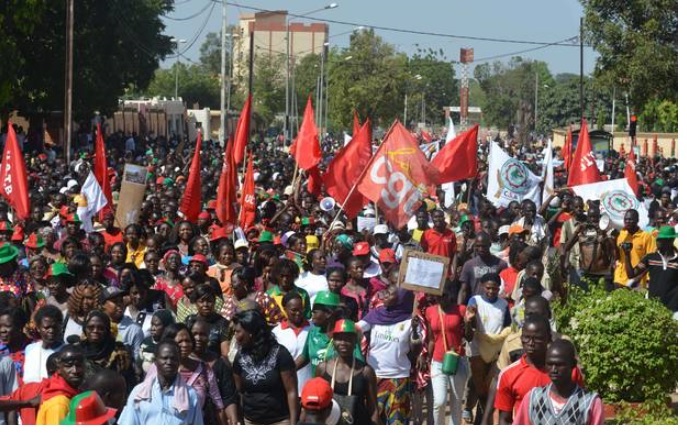 The imperialist powers (France, United States and European Union) are busy trying to impose a solution that would preserve their economic and geostrategic interests in Burkina Faso and in the sub-region of West Africa. They are taking account of the role played by their former pawn Blaise Compaoré who allowed their military presence in the country to become a strategic platform of aggression and exploitation of the peoples of the sub-region. But the popular movement remains vigilant and is showing its willingness to fight in order not to "be robbed of their victory." The Revolutionary Democratic Movement, led by the party, in this complex situation is opposed to the military coup and calls on the masses to continue the struggle to deepen the revolutionary process. The PCRV calls on the working class, the people and the youth to strengthen their organizations of struggle, especially the CCVC, and to organize together with them for the revolutionary overthrow of the neocolonial regime and to put in place a Provisional Revolutionary Government and a Constituent Assembly in order to build a modern democratic Republic. The PCRV calls for international solidarity in the face of repression against the democratic and revolutionary movement and the interference of the imperialist powers in our country.